Montana Governor Brian Schweitzer enjoys a 60 percent approval rating, but has not been spending much of that political capital to help democratic candidates locked in tight races across the state. A Friday Press Conference in Great Falls shows that’s all changing here in the last few weeks before voting day. Schweitzer says the state may be facing a constitutional crisis if Republican Rick Hill is elected to replace him. He accuses former Congressman Hill of risky, reckless behavior for his acceptance of a contested half-million dollar donation from the State GOP. That donation is well over the $20 thousand limit the state has in place. The Hill campaign says the donation was given during a short window when those contribution limits were temporarily tossed out by a Judge. The case involving the donation is still before the courts right now. Schweitzer says he will be handing over the Governor’s office in January. If the court’s find Hill guilty of this violation, Schweitzer says the law is clear. “If you have received these funds in violation of the campaign law, then you are not eligible for the office in which you’re running and if you’ve already been elected then you will be removed from office,” Schweitzer said. Schweitzer says this happened to a Cascade County Sheriff in the 1940s. He also says Montana law is unclear who would be appointed Governor if Hill were removed. Schweitzer says Hill could rectify this issue by returning the half million dollars to the State GOP. The Hill Campaign says it’s keeping the money as of now. Montana GOP Executive Director Bowen Greenwood calls this showboating by Governor Schweitzer that’s distracting voters from the issues. “There’s one thing that’s at the center of this race for Governor and that’s that Rick Hill is the candidate to create more jobs at better wages for Montanans and that’s the message we’re trying to get out. I think the people of Montana are probably pretty disappointed that the democrats have nothing but political process stories to talk about,” Greenwood said. Greenwood also correctly points out the only candidate for Governor who has been found guilty of campaign finance violations at this point is Democrat Steve Bullock. The state deputy commissioner for political practices says the Bullock campaign violated election rules by writing 11 checks that were signed by someone other than the campaign’s treasurer or deputy treasurer. Bullock campaign officials say staff members signed the checks when the treasurer was out sick and they didn’t know then it was against the rules. 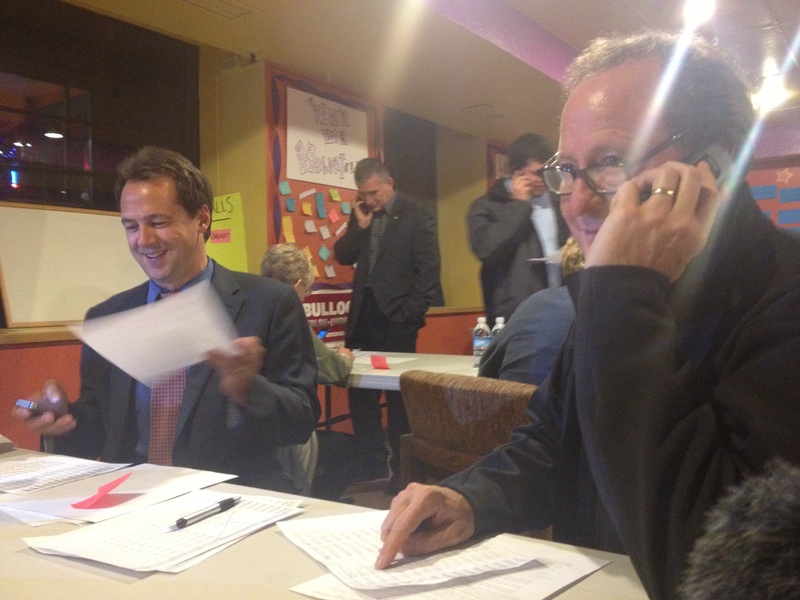 Earlier this week, Schweitzer helped out making calls for Bullock. “April, this is Brian Schweitzer, I’m here in campaign headquarters and I’m supporting Steve Bullock,” Schweitzer said into his cell phone Tuesday. 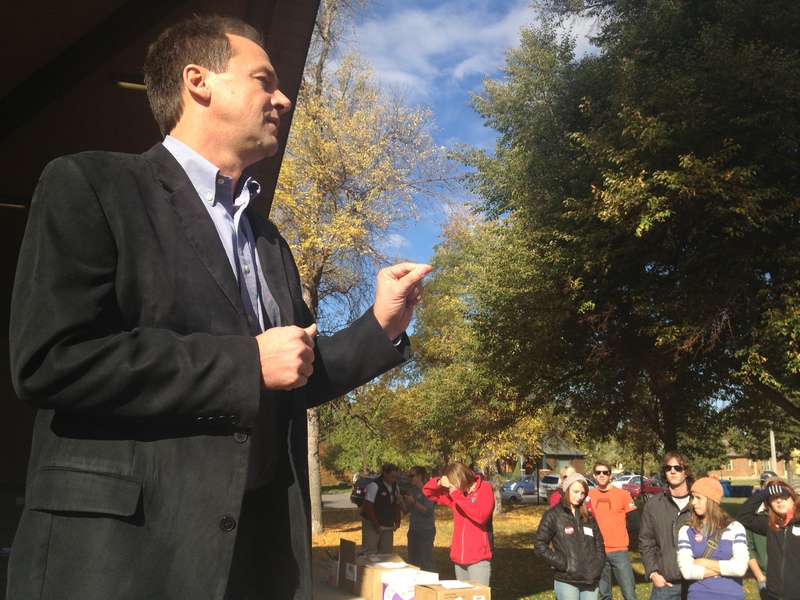 Schweitzer was actually sitting right by Democratic Candidate Steve Bullock. 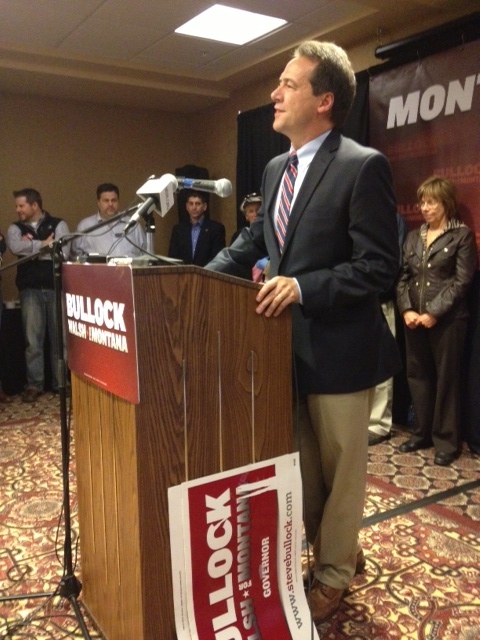 Bullock’s campaign office in Helena is headquartered downtown in a space still retaining the multicolored walls from its previous status as a Taco del sol restaurant. Campaign staff and volunteers sit at plastic folding tables with their cell phones and scanning lists. “To call folks we already know have received ballots, and they haven’t sent their ballots in,” Schweitzer said. Governor Schweitzer has been stepping up his support of Democratic candidates in the closing days of the 2012 election. Putting out ads and campaigning for statewide Democratic candidates and some legislative candidates too. Schweitzer has also been vocal in his support for Initiative 166, but that actually goes back to the Spring. But again, a lot of the focus now seems to be on the Governor’s office . “We have a lot invested, all of us in Montana, and me maybe even more than some and I want to make sure Montana continues in the same direction and Steve Bullock is the guy to get it done,” Schweitzer said. As for the direction of the state’s highest profile race, the Tester-Rehberg Senate matchup–Schweitzer is staying out of that one. This despite being a very vocal supporter of Tester’s when he was first elected in 2006. “Jon Tester is a well-known commodity, people know and trust Jon Tester and of course unlike Steve Bullock or some of these other candidates in Montana, They’re basically talking to us about seven times every 30 minutes on our televisions at home and they’re talking to us on the radio,” Schweitzer said. Schweitzer hopes his popularity will translate into some more Democratic votes for candidates who aren’t getting quite so much airtime. Former Montana Congressman Rick Hill has been running for governor full time for the last two years. During that time he has honed his vision for expanding natural resource development, changing education and putting priority budgeting in place in state government. News about Hill the last two weeks has been dominated by a contested $500 thousand donation the candidate received from the state Republican Party. Hill argues that donation was legal because it came after a federal judge tossed out the state’s contribution limits earlier this month, but before an appeals court put the limits back in place six days later. His opponent, Democrat Steve Bullock says the donation was illegal and just this week, a judge ordered Hill to stop spending that money while the case is under review. Latest polls show the race is very close with a very large piece of the electorate still undecided. We have posted profiles on the two men asking to be elected to the state’s highest office. 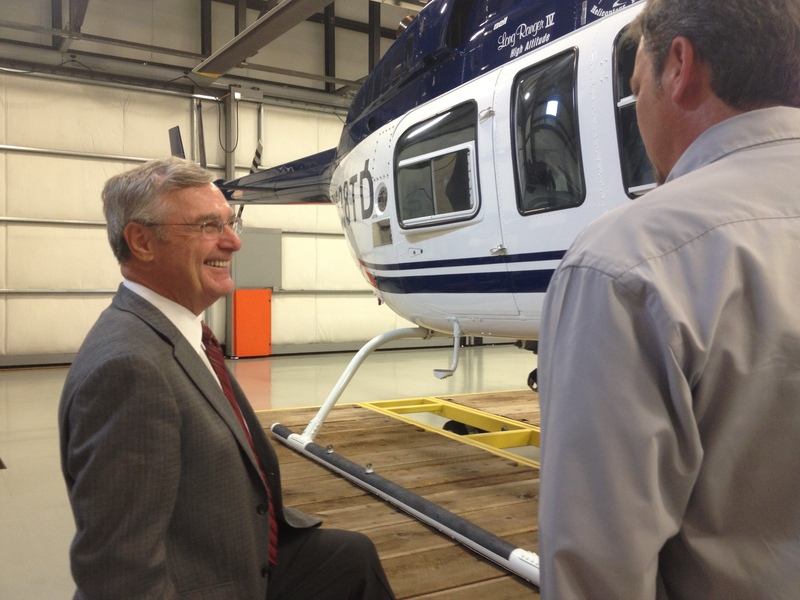 In this feature, Capitol reporter Dan Boyce spends a day with former Congressman Hill, a man whose vision for the state would look quite different from the Montana of today. Democratic Attorney General Steve Bullock has been running to be the state’s next Governor since September of last year. The Montana native was raised in Helena and says his campaign is looking to help define the state he passes on to his kids. Before his one term as Attorney General, Bullock operated a private law practice in Helena and is known for being the architect of a bill which raised Montana’s minimum wage. 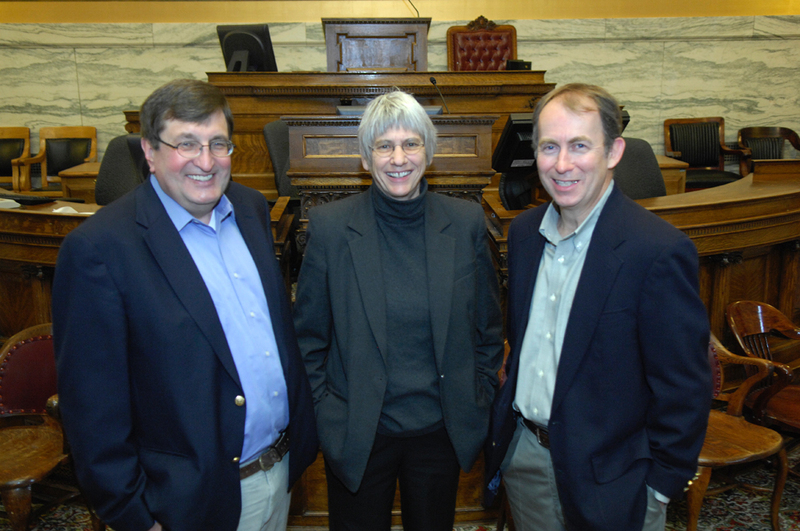 We will be posting profiles on the two men asking to be elected to the state’s highest office. 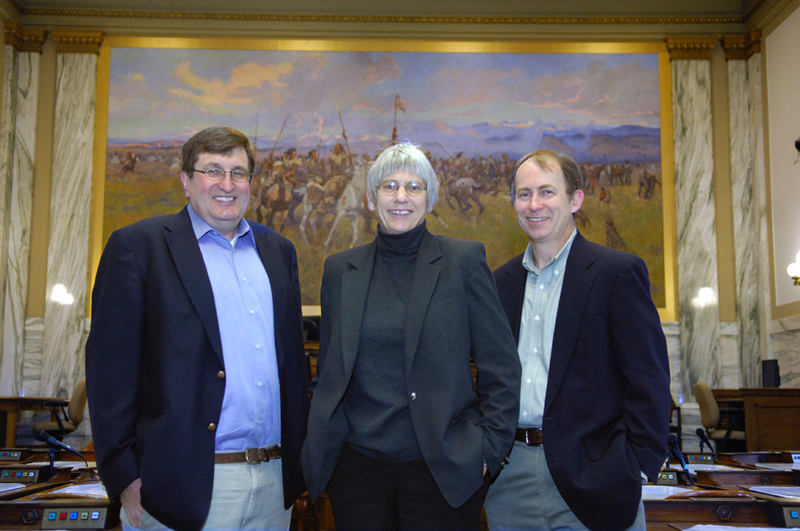 In this feature, Capitol Reporter Dan Boyce follows Bullock during a day on the campaign trail to find out more about his vision for the state.